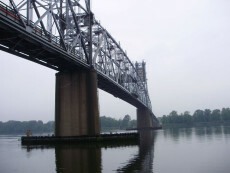 The William A. Stickel Memorial Bridge connects Interstate Route 280 between the cities of Newark and Harrison, N.J. 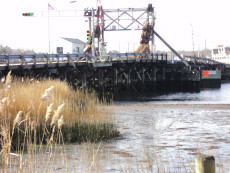 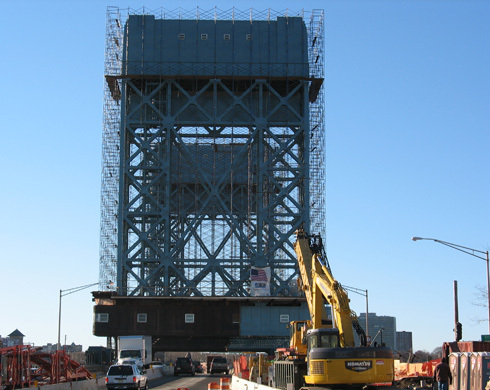 The structure is a vertical lift drawbridge originally commissioned circa 1946. 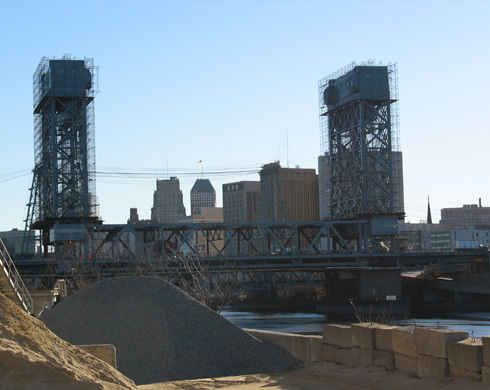 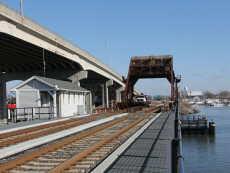 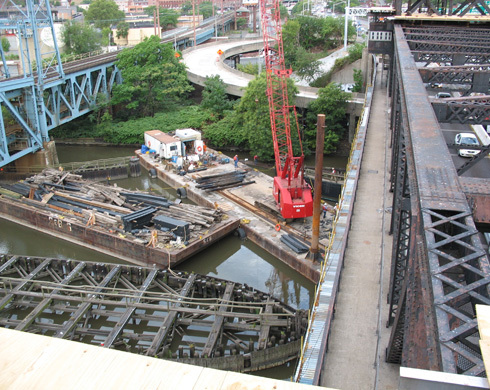 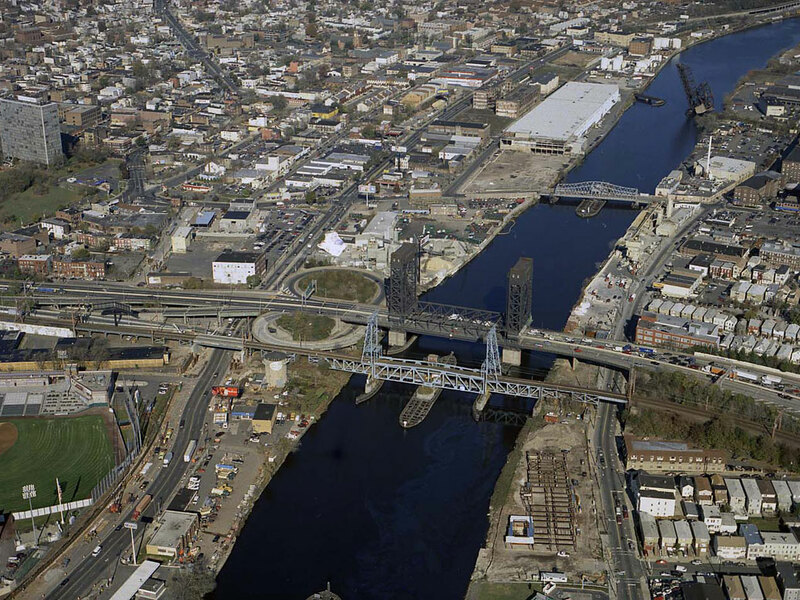 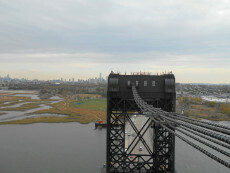 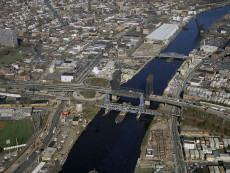 NJDOT awarded a contract to IEW Construction Group for performing structural steel rehabilitation, replacing the bridge deck, painting, bridge weighing and balancing the bridge, replacing the counterweight wire rope system and overhauling of all mechanical systems that cause the bridge to open to allow the passage of ships on the Passaic River. 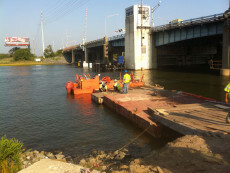 This $36 million contract also addressed PEOSHA safety issues for the bridge operators. 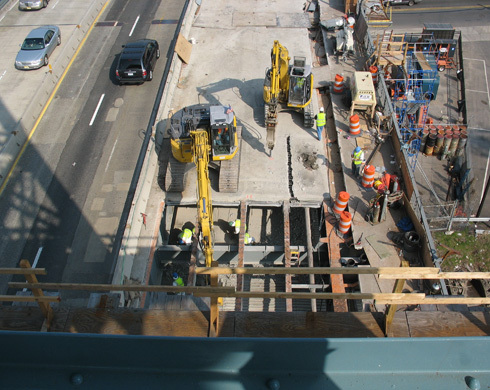 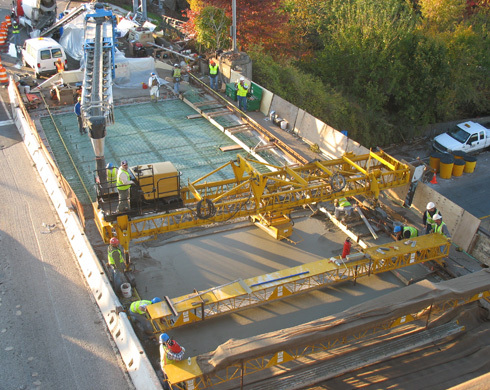 The bridge deck was a specialized Exodermic Bridge Deck System, which combines a reinforced concrete slab and a steel grid deck for a 35%-50% lighter bridge deck than a thick reinforced concrete slab deck design alone. 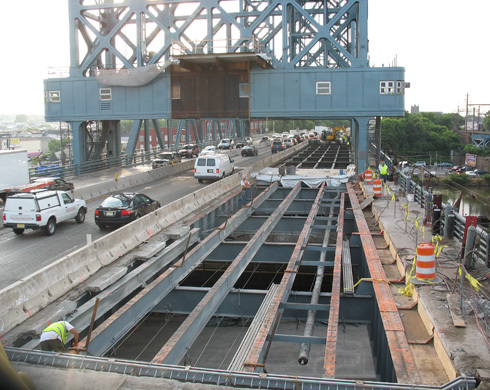 IEW was able to compress 4 stages of construction from 27 months to 21 months, good news for the 90,000 vehicles that traverse the bridge daily.